Only a few decades ago, platinum was a “rare” metal in many senses of the word. It was relatively rare in nature and rare in manufactured items too. Today, platinum is being used in a wider range of products and technologies – especially in medical products. One of the greatest growth areas? A marked increase in the use of implantable cardiac defibrillators, which provide wonderful benefits for patients who were once prone to sudden cardiac death due to ventricular fibrillation and ventricular tachycardia. In the past, individuals who were at risk of death from those problems had to be rushed to hospitals to receive treatment with defibrillators (“paddles”) when periods of fibrillation occurred. Others had to remain close to large defibrillators that they kept in their homes. But thanks to the availability of implantable defibrillators, those patients can now enjoy full lives. Because small defibrillators have been implanted in their chests, they are free to go where they choose. If irregular heartbeats strike, the small devices they are wearing snap into action and provide small electrical pulses directly to their hearts that save their lives. New kinds of implantable defibrillators are being developed all the time, but the most common consists of a small device that is implanted under the skin, often near the patient’s collarbone. Small wires made of platinum or other precious metals run from the device directly to the right ventricle of the patient’s heart. What is the useful life of these devices? That is a difficult question to answer. Some cardiologists and their patients favor replacing older implantable defibrillators when newer, more advanced models become available. Sometimes the devices fail to function properly and need to be replaced in the early months or years of their use. Because of those variables, the service life of an implantable defibrillator can be as short as a few months, or as long as five years or more. What Happens to Decommissioned Defibrillator Devices? Removal or replacement of implantable defibrillators is a surgical procedure that is performed in a hospital. Often, used devices are returned to their manufacturers for proper recycling and/or reclamation of the platinum or other precious metals that they contain. 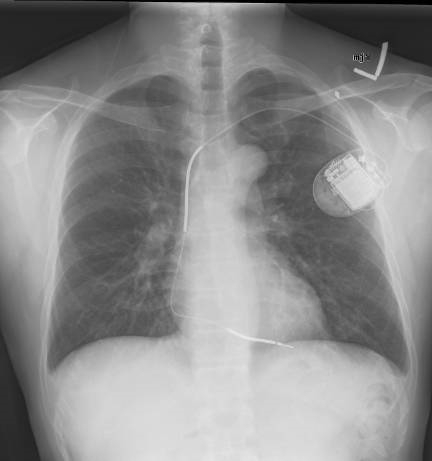 Opportunities exist for recycling the valuable metals that implantable defibrillators contain. For example, manufacturers of the devices can own quantities of platinum wire that were not needed in the manufacturing process, or they could end up owning quantities of older wire that does not meet the specifications needed in their newer products. Even physicians and hospitals can end up with quantities of wire that were not used when defibrillators were implanted, or with catheters or wires that were not selected for use during implanting procedures. If you fall into one of those categories, you might want to be aware that your unused stock of platinum can be valuable, and well worth recycling. Remember, the platinum that you have on hand could potentially be reused in the manufacture of new medical devices that can save patients’ lives. Call Specialty Metals at 800-426-2344 and we can help you design a detailed recycling process that let’s you reclaim that platinum, improve your bottom line and maybe even save some lives down the road.